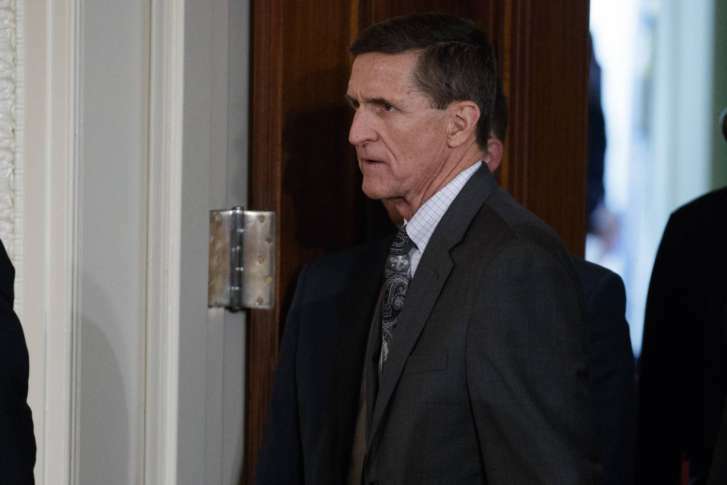 Former National Security Adviser Michael Flynn is in discussions with the House and Senate intelligence committees on receiving immunity from "unfair prosecution" in exchange for agreeing to be questioned. WASHINGTON (AP) — Former National Security Adviser Michael Flynn is in discussions with the House and Senate intelligence committees on receiving immunity from “unfair prosecution” in exchange for agreeing to be questioned as part of ongoing probes into possible contacts between Donald Trump’s presidential campaign and Russia, his attorney said Thursday. In his statement, Kelner said the political climate in which Flynn is facing “claims of treason and vicious innuendo” is factoring into his negotiations with the committees. In September, Flynn weighed in on the implications of immunity on NBC’s “Meet the Press,” criticizing Democratic presidential candidate Hillary Clinton and her associates in the FBI’s investigation into her use of a private email server.